After Microsoft took over the mobile division of Nokia, it was renamed to Microsoft Mobile Oy, but Microsoft still has the license to use the ‘Nokia Lumia’ brand name until 31st December 2015. Although it’s under new management, you’ll still see the legendary Nokia name on devices for a little while more. Now, there’s talk of a lot of new smartphones coming out in the following months, led of course by the iPhone 6, then Samsung’s rumored QHD monster and Galaxy S line replacement, the Galaxy F, and finally, Google’s rumored replacement of the venerable Nexus line, called Android Silver. According to some sources, Google is looking to scrap the Nexus program and instead start off something new called Android Silver, which will basically involve Google providing priority updates and the best Android experience to select high end smartphone manufacturers, essentially creating a new multi-manufacturer line that will offer a Nexus like experience. With all of this coming up in the following months, Microsoft and Windows Phone surely weren’t going to just sit behind and watch. 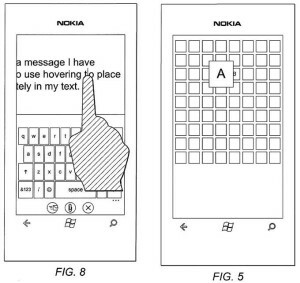 Then began leaks of a new smartphone, codenamed the Nokia ‘McLaren’. Here’s what we know about the rumored 2014 Windows Phone flagship! Unlike previous flagships that were carrier specific in the United States, the McLaren will supposedly be the first Windows Phone that will be available simultaneously on all three major carries, AT&T, Verizon and T-Mobile. While not much is known about its exact specs, it’s been said that the McLaren will definitely live up to its name and run the same hardware as Android flagships. With either a QHD or full HD screen on board and a PureView camera, it’s sure to be great at multimedia as well. This year is looking like a great one for smartphone buffs, and it looks like we’ll be spoilt for choice with phones with actually unique features instead of just beefed up specs. So what do you think about the Nokia McLaren, sound cool or is it just a gimmick? Let us know via the comments! Access Twitter Without Internet From Any Phone!